Why Nawazuddin Siddiqui's movie 'Thackeray' is doing well at the box office ? Thackeray Box Office report: Nawazuddin Siddiqui's movie 'Thackeray' is doing well at the box office. In 'Thackeray', Nawazuddin Siddiqui has made people crazy with their suppressive acting. People are coming to the theaters to see the acting of Nawazuddin Siddiqui. People look forward to seeing this movie based on the life of Balasaheb Thackeray. The movie 'Thackeray' had earned Rs 6 crores on its first day of release, but on 26th January i.e. 'Republic Day', there was a huge surge in the earnings of Nawazuddin Siddiqui. Nawazuddin Siddiqui's film 'Thackeray' had earned 10 crores on the second day. It is being said that, on Sunday, the movie 'Thackeray' has earned about 9-10 million rupees. The biopic film based on the life of Shiv Sena Party's founder Balasaheb Thackeray has been released in Hindi and English and besides Hindi. 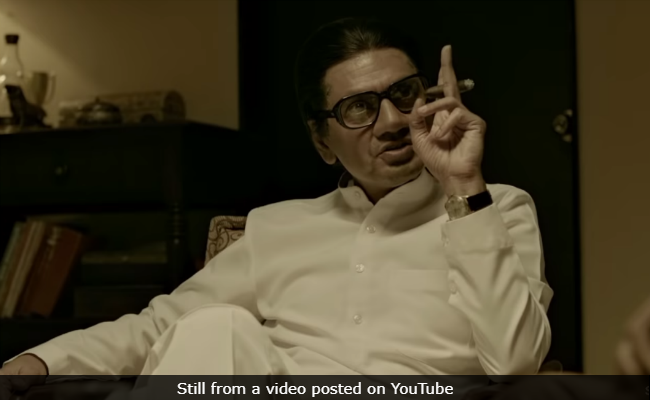 The role of Balasaheb Thackeray is the specialty of Nawazuddin Siddiqui, his superb acting and he loves everyone with his art.